» Which mortgage lender is most likely to reject you? Which mortgage lender is most likely to reject you? Where you go can make a big difference in whether you get a mortgage — or not. JPMorgan Chase, for example, turned down 33.6% of applications from prospective home buyers last year, according to data recently released by the Federal Financial Institutions Examination Council. So one in three potential borrowers walked away empty-handed. SunTrust Mortgage, on the other hand, denied only 11% of applications. Or just over one in 10 applicants were disappointed there. When we asked Chase why its rejection rate was the highest among the 10 biggest mortgage lenders, it provided a statement that didn't shed much light on the issue. The bank noted that the council's data doesn't include refinancings. Which is true. But so what? The most relevant point Chase made was to note that some competitors put customers through a preapproval process, something Chase has never done. Doing a sort of mini-application prior to the real deal could certainly help loan officers winnow out marginal borrowers and boost acceptance rates. Is that the primary reason for the widely divergent rejection rates in the council data? But when we saw the council's data, we immediately suspected what the industry calls "defensive lending" played a big role in the results. Since the housing crash, banks sell the majority of home loans they make to Fannie Mae and Freddie Mac. These government-owned companies buy practically all home loans up to $417,000 in most places and to $625,000 in the nation's most expensive cities. 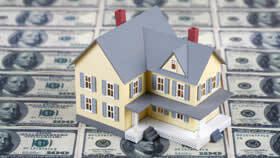 Loans sold to Fannie and Freddie must meet a minimum set of requirements. That's why they're often called "conforming loans." They conform to those rules. But if a loan defaults, and Fannie and Freddie discover that the lender fouled up and the borrower didn't actually meet their guidelines, they can require the bank to take the bad mortgage back and even pay a fine. That makes banks more cautious and leads them to employ a staple of defensive lending called lender or credit "overlays." Credit overlays are essentially lender requirements that go above and beyond the minimum lending standards established by the government. In other words, to avoid losses, banks often impose tougher rules than required by the government, even on government programs like the Federal Housing Administration's Streamline Refinance Program and the Home Affordable Refinance Program. It stands to reason that the stricter the additional requirements, the higher the rejection rates. It's also why you shouldn't give up if you're denied a home loan. Your application might sail through at another bank or mortgage company with less stringent credit overlays.